It comes as no surprise that the mainstream media ridiculed her for presenting the petition, something New Democratic Party deputy Paul Dewar had refused to do. “I do not agree with petition. It is an obligation of an MP to present every petition submitted to them,” May commented. The media immediately pointed out that it is not an obligation, insinuating that May chose to present the petition either because she supports the cause or to please her constituents. “MPs are not not bound to present petitions and cannot be compelled to do so; nevertheless, it is evident that many Members consider it a duty to present to the House petitions brought forward by citizens,” according to the House of Commons Procedure and Practice. “In fact, visual stimuli, transduced by the rods and cones in the eyes, and sent by electro-chemical signals to the central nerous system via the optic nerves does not go directly to the occipetal cortex which is the primary region responsible for processing information. Instead, it first goes to the lateral geniculate nucleus of the Thalamus, another region of the brain that is a part of the lymbic system and important to emotional arousal. WTC 7 collapse shows on 300 screens throughout Toronto subway. Watch the ad below. On March 18, 2014 the ReThink911 campaign launched its newest wave of ads in the Toronto subway system. 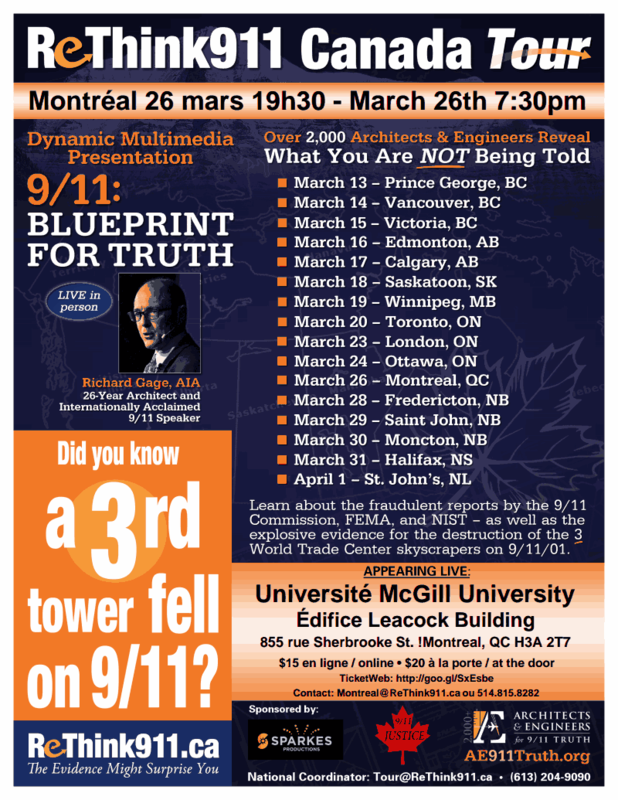 For two weeks, 1.2 million Toronto residents will see the video of Building 7’s collapse and be directed to ReThink911.org to learn more. According to Pattison Outdoor, daily subway riders will see the ad an average of five times during the two-week period.